Savard's 13-season playing career spanned 807 NHL games with four teams. Forward Marc Savard has announced his retirement from professional hockey after playing 13 seasons and 807 games in the National Hockey League. The Ottawa native is now looking at opportunities to get back into the game in a coaching capacity. Savard, 40, last played with the Boston Bruins during the 2010-11 season, when he skated in 25 games after suffering a second concussion on January 23, 2011. Concussion-related issues prevented him from resuming his NHL career, one that began in 1997-98. His NHL contract expired following the 2016-17 season. The 5’10”, 191-pound centre, who spent time with the New York Rangers (98 games), Calgary Flames (221 games), Atlanta Thrashers (184 games) and Bruins (304 games), felt it was the ideal time to acknowledge his retirement. 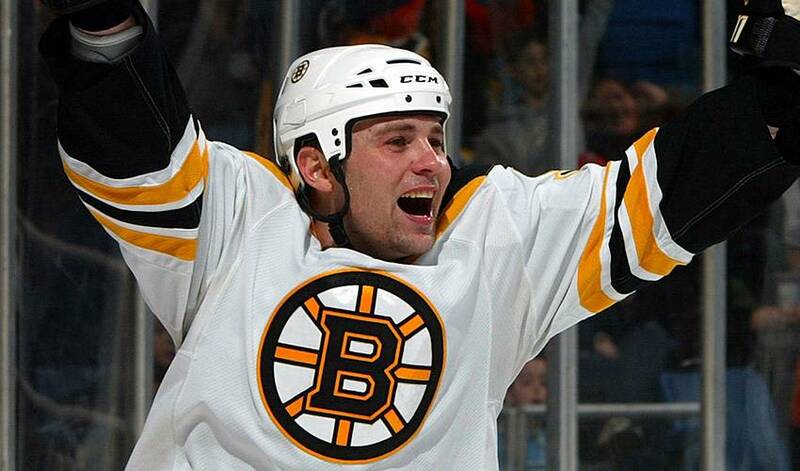 His seven-year contract, which he signed with the Boston Bruins in 2009, expired at the end of last season. A fourth-round pick of the Rangers in 1995, Savard saw his first NHL action in 1997-98, playing on a New York squad that showcased a talent-laden lineup, including Wayne Gretzky, Pat LaFontaine, Adam Graves, Brian Leetch and Alex Kovalev. He also recalled the words of Rangers star forward, Graves. Savard, who idolized Gretzky, couldn’t have scripted the start of his big-league career any better, emulating No. 99 any way he could. There were certainly plenty more. Savard would become one of the game’s most productive performers coming out of the 2004-05 NHL owners’ lockout, recording a career-high 97 points in 2005-06 with the Thrashers. He scored 96 points the following season, his first with the Bruins. Between 2005 and 2009 his 1.12 point per game average was 11th best in the entire league (minimum 100 games played). After a concussion forced him to the sidelines in March of 2010, Savard returned to play in the second round of the 2010 Stanley Cup Playoffs and scored the overtime-winner in his first game back – Game 1 of the Eastern Conference semifinals vs. the Philadelphia Flyers. In 2010-11, after playing in 25 regular season games and having the misfortune of missing the playoffs due to another concussion, his name was etched on the Stanley Cup after Boston beat the Vancouver Canucks in seven games. Savard, who played his junior hockey with Oshawa, was honoured in 2016 by the Ontario Hockey League club when the Generals retired his No. 27. He produced a franchise-best 413 points (132-281–413) in his exceptional junior career and he twice led the league in scoring (1995, 1997). In 1997, he scored the game-winning goal in overtime of Game 6 versus the Ottawa 67s to secure Oshawa’s OHL title. His jersey banner joined some of the top Generals alumni: Eric Lindros (No. 88), John Tavares (No. 91), Red Tilson (No. 9) and Bobby Orr (No. 2). Savard, who resides in Peterborough, Ontario, has enjoyed the opportunity to coach his sons’ respective hockey teams, giving him the chance to put his bright hockey mind to good use. Spending this time coaching recently also opened his eyes to a potential next chapter in the game. He’d also like the fans to know how much he appreciated their support after an NHL career that yielded 706 career points (207 goals, 499 assists). “I did have a lot of believers along the way, which helped me believe,” said Savard. “That’s always been my quote to myself, ‘If you believe, you can achieve.’ That’s what I lived and died on. I’m proud to have played that long, seeing your name on the Stanley Cup and having your dreams come true.